Barska Biometric Safe Review - Forget memorizing asswords! No codes, no keys, only fingerprint! It could be the biggest signboard of BARSKA’s biometric safe. You don’t need to remember the complex numeric code that you used to memorize to unlock your safe. You don’t even need the keys to open up the safe because you get this unprecedented facility? I am talking about this safe, it is biometric. This safe is the right choice for having small valuables and guns. It offers you complete ease for all home and business needs. -You are allowed to put 30 different fingerprints to unlock the safe. So, you might register your reliable people’s fingerprint such as your mom, dad or wife in this safe in case you are not at home. -It will take only 3 seconds to open the safe once you place your fingerprint on the scanner. It seems a little bit of lagging but compared to clicking a numeric code, this is much more user-friendly. -Biometric fingerprint beeps at the time of opening of the door. You may turn off the sound of the beep if you choose to do so. -The safe will give you a reminder beep if you let the door open for more than 5 minutes. -The door is thick and tamper proof. This safe is the absolute size to have mounted in a closet or you can mount it even under your bed if you want to. 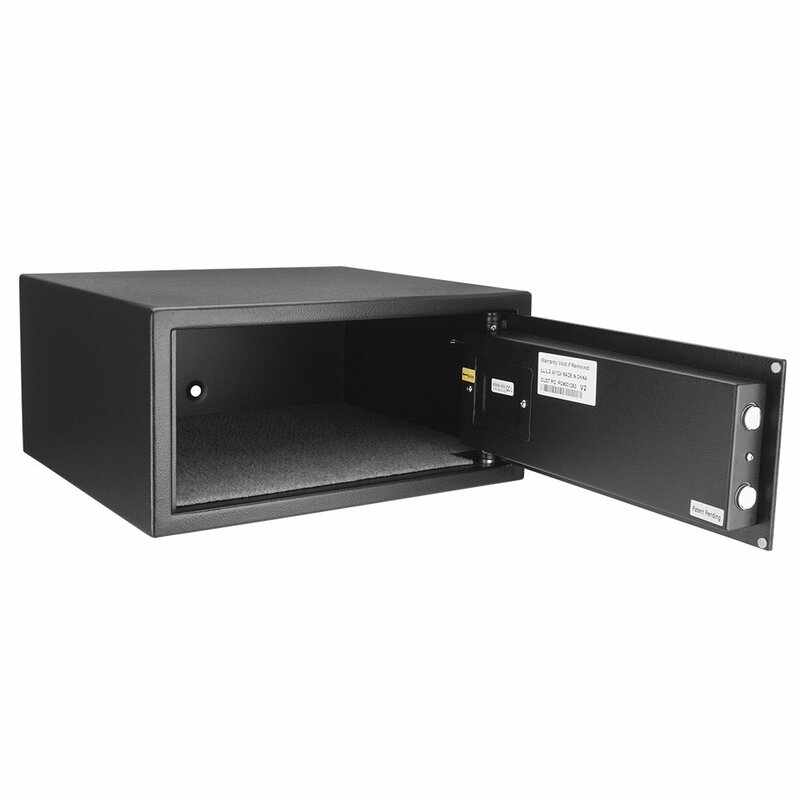 – This spacious safe can be useful to you if want to store your valuables like important documents, money, jewelry, passport, electronics, medicines, and small firearms. – The whole biometric safe skeleton is made of tough and durable steel. It’s literally impossible to break into it. If burglars steal everything from your house and only one thing is safe, it is that safe we are discussing here. -It has got two points of a strong deadbolt. This feature makes this safe good enough to feel you secured. – You will get mounting hardware by which you can affix your safe to the floor or wall wherever you want. It would be taken as a preventive attempt from burglary theft. – For the purpose of mounting your safe, there are factory pre-drilled anchor points on the body of the safe to facilitate the affixation process. – You will receive two override keys. If the battery is dead or any of your reliable men want to unlock the safe and let us assume that his fingerprint is not registered with the fingerprint scanner- then he can use the keys. – The keyhole is kept hidden behind the nameplate. So, any unauthorized person cannot guess the position of the keyhole in case he gets the keys anyway. – You will receive a user manual and can use it in case you face any difficulties to operate the safe. – There is a floor mat inside to keep your valuables safe from scratch. Why should you buy it or not? This biometric safe is less costly than any other of its competitors. Especially you are blessed with a biometric facility which will put a bar to access of unauthorized personnel. Moreover, it’s portable. The only problem is with fire. Maybe it’s not safe from the fire but, you can at least be assured that your kids will be safe from guns while using this safe as a barrier between kids and guns. Putting aside this minor problem, you are good to buy this safe without giving a second thought. I hope you enjoyed this Barska biometric safe review. 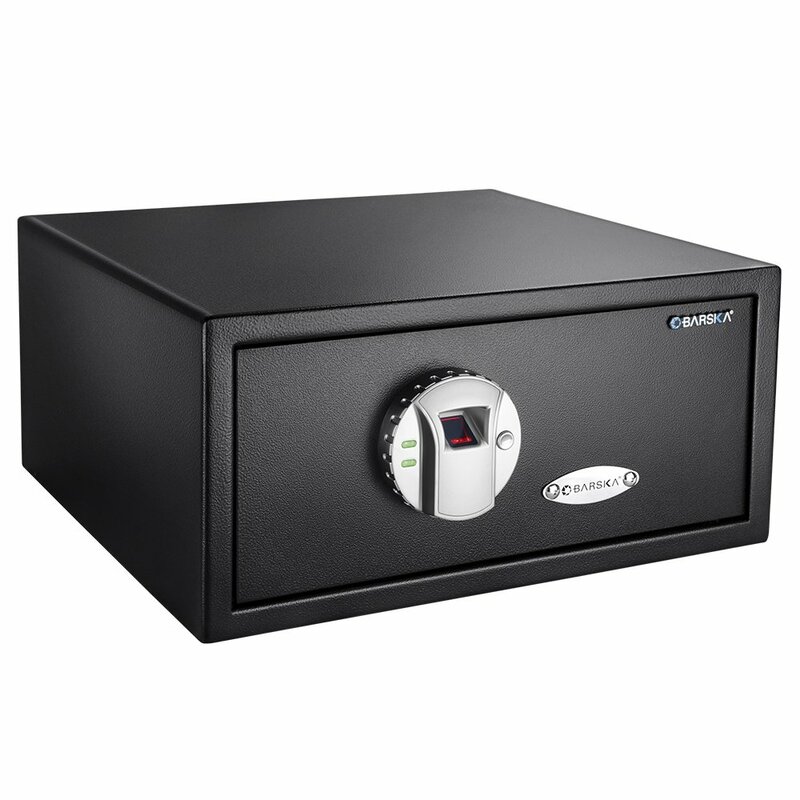 Having considered all things including low price, wonderful fingerprint sensor and huge capacity of restoring many goods, this biometric safe is one of the best safes in the market that you are planning to buy. At least 3 handguns can be placed here easily. And for rifle or long guns, you need the Rifle Safe from the same company and features are the same too. You can mount it to your wall, put under the bed, fix it to your desk or take it with you when you travel. Lots of choices available out there. That means you can use it in any way you want. It’s a real user-friendly safe you have ever had at an affordable price tag.